Without even looking, Mirjana dismissed Ivanka’s comment with a wave of her hand, saying: “Come on, Our Lady wouldn’t appear to us.” Both were frightened, as they continued on their way home. On their way, they met 12-year-old Milka Pavlovic, who asked their help in bringing her sheep home. This meant that they would have to return to where they had just been - where Ivanka first saw the luminous Lady. The next day, June 25, the two girls returned to the hill with four others: Vicka Ivankovic age 16, Ivan Dragivevic age 16, Milka Pavlovic age 16 and Jakov Colo age 10. A figure in white was calling them to come up to the hill. Upon seeing her, the six children ran up the hill. Eyewitnesses who joined them during that time said they were terrified with the speed with which the children ran up the hill. Ignoring thorns and bushes, with some even barefooted, the children ran up the hill with frightening speed, somehow mysteriously transported there without a scratch. When they reached the top of the hill and were barely 7 feet away from Our Lady, the children suddenly felt as if a force threw them to the ground to kneel. Jakov was thrown in a thorny bush, but miraculously, he came out without a scratch. Ivanka was the first to talk to the Madonna. She asked about her mother, who had died two months earlier. The Lady replied that her mother is well, and that Ivanka should not worry about her. On the third day, following the advice of adults who counseled them, Vicka brought with her holy water in order to sprinkle the Lady with it and see if she would flee. This time around, the children saw three flashes of bright light up the hill, announcing Our Lady’s arrival and indicating to them the spot where she would appear. The children bounded up the hill, together with a little “army” of villagers who had heard about the apparitions. All of the people gathered during that day saw the flashes of bright light. The spot were Our Lady called them this time around was a good 300 meters higher than before. The children dropped to their knees all at the same moment, this time in front of an old wooden cross. Vicka then sprinkled the Lady with holy water, saying: “If you are the Virgin, remain with us. If you are not, depart from us.” Vicka said she came quite close to the Lady, and didn’t spare the water. In response, the Lady only smiled at them lovingly. Why Did Our Lady Appear in Medjugorje? And thus, on the third day, the purpose of the apparitions were made clear. Our Lady had come to convert and reconcile the whole world to God. She came to help us attain peace - with God and with others. She came to emphasize that peace - true peace - can only be achieved through Faith, prayer, fasting, confession. Franciscan Fr. Janko Bubalo questioned the visionaries about the appearance of Our Lady. According to them, the Lady is around 18-20 years old, slender, with black hair, her face long and oval. Her eyes are blue and rosy cheeks. Her dress is bluish-grey and falls all the way down to the little white cloud on which she stands. She has a white veil which covers her head and shoulders, and reaches down to the cloud. A crown of twelve golden stars rests on her head. News of the apparition spread throughout neighboring villages. People came in droves and joined the children in the daily apparitions on the hill. Many miracles were reported: a blind man now sees, a paralyzed child walks, sick people were healed. But the greatest miracle of all was the religious awakening of the region around Medjugorje. 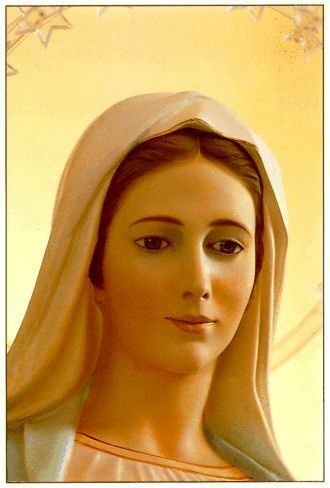 People heeded the call of Medjugorje, with many fasting every Friday on bread and water as requested by Our Lady. The children, on the other hand, fasted not just on Fridays, but on Wednesdays as well. Alarmed, the communist rulers of Medjugorje took serious repressive measures. They arrested the children, threatened and interrogated them, pressured them into renouncing the apparitions. Despite the persecution, the children stuck to their story, never wavering. The communists banned cars from entering Medjugorje in late afternoon or evening; they gave strict orders to the parish priest that no religious assemblies could take place outside the church. Consequently, the children and the people moved down to the parish church, were the daily apparitions continued. Other Franciscan priests, who had direct supervision of the parish of Medjugorje, were also sent to prison. Fr. Jozo Krizic, then 62 years old, was imprisoned for 5.5 years. Another Franciscan priest, the editor of a Franciscan magazine, was likewise sent to jail. His crime: an article published in the magazine about Medjugorje. Ironically, the attacks on Medjugorje by the national papers brought nationwide attention to the apparitions that the Catholic press could never have done. Thousands of people flocked to Medjugorje every day, with many reporting cures, healings, and even miraculous sightings of the sun dancing. A recently-published book entitled “The Mystery of Medjugorje” (published in 2011 by the leading Croation daily, Vecernji List) sheds more light on the extent of Communist oppression of Medjugorje. The author, Zarko Ivkovic, worked in the archives of the Information Agency of Bosnia-Herzegovina, and he reveals in the book for the first time secret documents of the Yugoslav secret police concerning Medjugorje. According to the book, the communists launched an elaborate operation against Medjugorje. The operation was called “Crnica”, the original name of the hill of the apparition, now known as Podbrdo. The authorities regarded the apparitions as "an instrument of enemy counter-revolutionary action directed against the fraternity and unity of the peoples of Yugoslavia". The book claims that the Secret Service spied on Franciscan priests, gathered info about their “hostile activities”, and put together fake documents to compromise them. They resorted to blackmail and threats, particularly against the Franciscan monk Jozo Zovko, the parish priest of Medjugorje who was eventually imprisoned by the authorities. Despite intense communist oppression, the apparitions continued, and pilgrims continued to visit Medjugorje. For the next 30 years, three of the original visionaries would continue to receive daily messages from Our Lady. Our Lady has revealed ten secrets to the children - some of these secrets concern events that will occur on earth in the near future. When each of the six visionaries has received all ten secrets, Our Lady will stop appearing to them on a daily basis. Currently, Marija, Vicka and Ivan have received nine secrets, and Our Lady still appears to them every day wherever they are. Mirjana, Jakov and Ivanka have received all ten secrets, and Our Lady appears to them once per year. 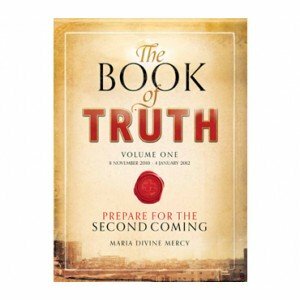 Through the 30 years worth of public messages given by Our Lady in Medjugorje, Our Lady is essentially teaching the whole world how to become true Christians once again - one message at a time. In a July 30, 1987 message, she says: "Dear children, this is the reason for my presence among you for such a long time: to lead you on the path of Jesus. I want to save you and, through you, to save the whole world. Many people now live without faith; some don't even want to hear about Jesus, but they still want peace and satisfaction! 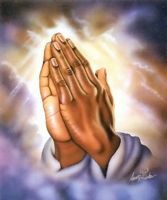 Children, here is the reason why I need your prayer: prayer is the only way to save the human race." The message is the same with practically of her other apparitions: a call to daily prayer especially the rosary, frequent confession, frequent communion and Holy Mass, faith, conversion, fasting. What is notable, though, about Medjugorje, is her emphasis on fasting. Our Lady invites us to go beyond the minimum Church requirement of fasting every Good Friday and Ash Wednesday. She invites everyone to fasting on bread and water every Friday. She says: "You have forgotten that with prayer and fasting you can ward off wars, suspend natural laws." The story of the official Church’s investigation, pronouncements, denouncements is as elaborate and complicated as a soap opera. The Franciscans who supervised the Medjugorje parish, on the other hand, were initially very skeptical and hard on the children. The local parish priest at the time, Fr. Jozo Zovko, did not believe the children at first, even warning the bishop not to be too hasty in his acceptance of the apparitions. One morning, while praying in the church, he heard a voice say, “Protect the children.” At the same moment, the children scrambled to the church, crying and in great fear, fleeing from the communist soldiers. Fr. Jozo hid the children ina small room in the church, and went out to speak to the soldiers. At that moment, he knew he needed to protect the children. Since that time, Fr. Jozo became an outspoken defender of the children against the communists. The communists, on the other hand, increased the intensity of their attempts to suppress the apparitions. They put Fr. Jozo on trial, and subsequently sentenced him to prison for three and a half years. Bishop Zanic, at the time, continued to be supportive of the apparitions, speaking out against the communists: “...these irresponsible calumnies and these attacks whose bad taste will in no way facilitate a calm appraisal of the events which have been taking place in Medjugorje. Such behavior violates fundamental human and civic rights." Bishop Zanic was subsequently summoned by the communist state police, interrogated, and threatened with imprisonment if he did not stop supporting the apparitions. Unlike Fr. Jozo and many other priests outspoken in their support of the apparitions, Bishop Zanic never went to prison. At the time of the apparitions, the Bishop was in continual tension with the Franciscans, pressuring the Franciscans to hand over more of the parishes that the Franciscans supervised to him. After handing over half of their parishes to the Bishop, they felt it unjust to hand over any more parishes to the Bishop, and thereby sought Rome for direct assistance on the matter. In the midst of this conflict, the Bishop successfully secured the expulsion from the Franciscan order of two priests, dissolving their vows. The local townspeople, sympathetic to the two priests, asked the children to seek counsel with Our Lady. Upon inquiry, the Lady relayed this message to the children: “The Gospa wants it said to the bishop that he has made a premature decision. Let him reflect again, and listen well to both parties. He must be just and patient. She says that both priests are not guilty." This admonishment, according to the Bishop, was what compelled him to change his mind on Medjugorje, saying, “the Blessed Virgin would never admonish a bishop.” It must be noted, though, that 12 years later, the Holy See affirmed the innocence of the two priests, dropping the charges against them. In fact, the Holy See eventually ruled that the bishop acted “illegally” and “unjustly” in the expulsion of the two priests, permitting the two priests to return to their priesthood. Tragically, though, one of the priests permanently left and married. On October 30, 1984, Bishop Zanic issued a public statement to the press in writing, stating with “moral certitude that the Medjugorje events are a case of collective hallucination.” After encouragement from higher Church authorities, Bishop Zanic subsequently formed a commission to formally investigate the apparitions. Ten of the 14 members of the commission were publicly known critics of the Medjugorje apparitions. During the time of the investigation by the commission, scientists from all over the world studied the children. During the apparitions, they poked them with needs, burnt them with matches, and subjected them to all sorts of scientific tests. Their conclusion: the children were not in any way hallucinating, hysteric, neurotic, cataleptic, or pathological. In 1986, Bishop Zanic submitted a negative decision by the commission on the apparitions to then Cardinal Ratzinger, prefect of the Congregation of the Doctrine of the Faith. Cardinal Ratzinger essentially ignored the decision, dissolving the bishop’s commission and convening new commission under the authority of the Yugoslavian bishops in the region. Despite the opposition of the Bishop, however, the Lady continually reminded the children to pray for and respect the bishop: “Pray my dear children...he is tormented by anxiety. He has taken upon himself all the problems of the diocese...I will ask Almighty God for the grace to be able to comfort the bishop...It is necessary to respect the leaders and to obey them." The Church is not in a hurry. We, the bishops, after three years of examination by the Commission, have declared Medjugorje a place of prayer and a Marian sanctuary. This means that we are not opposed to people coming on pilgrimage to Medjugorje to venerate the Mother of God there, in conformity with the teaching and faith of the universal Church. As to the supernaturality of the apparitions, we have declared: Up to this moment, we cannot affirm it. We leave it for later. The Church is not in a hurry. According to recent news reports, the current Vatican commission investigating the apparitions, led by Cardinal Ruini, will conclude its investigation and present a formal report to Pope Benedict XVI before the end of the year (2012). Could a Made Up Story Last This Long? 30 years and 40 million pilgrims after, Medjugorje remains a spiritual magnet for millions of people. Did the Blessed Virgin truly appear in Medjugorje? While we wait for the Church’s final and definitive pronouncement, it is the fruits of Medjugorje that serve as the strongest indicator of its authenticity. Did the children just make up Medjugorje? Could this have been one big “mass hallucination”? Fr. Jozo Zovko, the first parish priest of Medjugorje, says it best: "A made-up story could not last this long. And it couldn't be satan's work. Satan doesn't call for prayer and conversion."